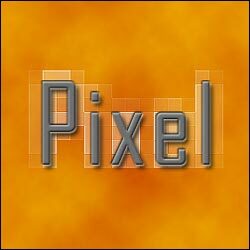 Add depth to your text using a mosaic pixel effect. 2. Create your text. Duplicate the text layer. Move the duplicated layer under the original. Now go to Filter > Blur > Gaussian Blur and choose a radius of 4 pixels. 3. Next go to Filter > Pixelate > Mosaic. Cell Size: 14. Now add a nice drop shadow and you're done. 4. Here is my final image after adding a bevel and color overlay. Here are 10 blogs to get more infographic inspiration.